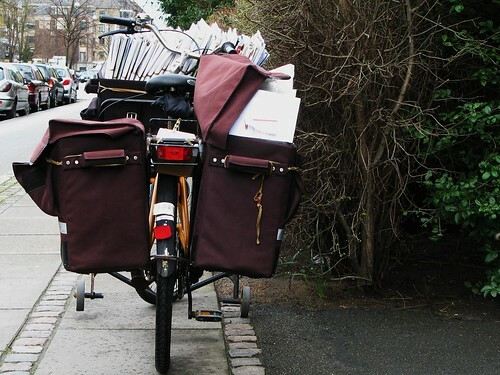 On 27 August a group of cycling postmen and postwomen, politicians and cycling campaigners will deliver the letters to Royal Mail’s new Chief Executive Moya Greene. The event will create some media attention and hopefully lead to a reviewing of the Royal Mail’s arbitrary plan to phase out cycle delivery. A week today, CTC will deliver hundreds of protest letters to Royal Mail's new Chief Executive to demand she reconsiders the decision to phase out cycle delivery. Please send your letters in today (all you have to do is fill in our online form on www.ctc.org.uk/royalmail ). We will deliver the letters on Friday 27 August at 8.30am outside 100 Victoria Embankment EC4Y 0HQ. 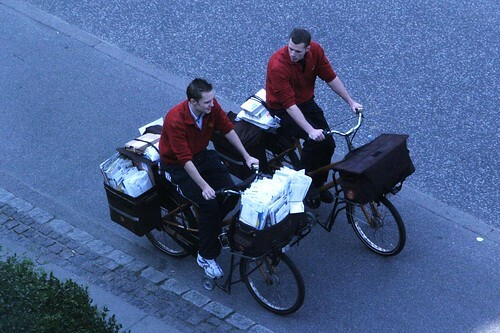 If you can join us, or if you own an old postal bike or old Royal Mail uniform, please get in touch (campaigns@ctc.org.uk). Act now or in the future all post will be delivered by van and over a century of history will be lost forever.